Short of the well-deserved retirement of a much beloved partner, resignations rarely are a cause for celebration. However, if approached from the proper perspective, the amicable departure of a firm member does not necessarily have to be a negative event. When any attorney resigns, it is essential to remember that it never serves anyone’s best interests to air disappointment and frustrations in public, and therefore no firm will be faulted for publicly wishing a colleague success in his or her new endeavors. You will, however, need to be prepared to communicate with three distinct constituencies: the firm, your clients and the media. Similarly, it will be prudent to expeditiously contact clients who are affected by the move in order to reaffirm the firm’s stability and provide assurances that the clients’ interests remain a priority. This is especially important when the departing attorney has been a key member of a litigation or deal-making team. Be aware that the news media may call about the partner’s departure with questions about how it will impact the firm. Make sure all members of the firm, especially the receptionists, know who should be receiving such calls, whether that’s the managing partner or someone else. If you choose to comment, then use roughly the same language and talking points as your internal announcement. As in all communications regarding the departure, always take the high road. It is always tempting to remove a departing attorney’s web biography immediately after their resignation is tendered, but it is important to time the removal as closely as possible to the actual departure date. A suddenly missing bio is an obvious signal that something has changed, and you don’t want to raise that flag before you are prepared. Practice area lists. Is the departing attorney listed on any practice group pages on the firm website? If this person is a group leader, then remove the name, even if a replacement has not been identified. That information can be updated later. Press releases and social media. Are there press releases or news items on the firm website or social media posts featuring the attorney? While you may choose not to remove the attorney from a press release recognizing a group award or honor, you may want to consider deleting news articles that focus specifically on the departing lawyer. Not every firm will consider this necessary, and it may be appropriate in some cases to allow such content to remain. Blog posts and white papers. Some firms also may choose to remove any blog posts or white papers authored by a departing attorney, but as with press releases, it is not necessary, and it actually may be appropriate to retain content that is reflective of your firm’s continued expertise in a specific practice area. However, depending on whether the departure is amicable, you may choose to offer these electronic files to the attorney for use at his or her next firm. Non-specific mentions. Review your site for mentions of the number of attorneys in an office or within a practice group in order to account for the departing lawyer. It also is advisable to look beyond your own website to identify any third-party online directories, or “best of” listings that include the attorney. The research department at each of these companies should be contacted with a request to update the listing. Firms should conduct an inventory of all advertising placements that are already scheduled. If the attorney is featured, then check with the media outlet immediately to see if the ad can be pulled and replaced or modified before the publication date. Whether you have the luxury of a two-week (or more) notice or the departure is immediate, the news is guaranteed to travel at speeds that directly correlate to the prominence of the attorney and/or the firm, creating a situation where media and clients alike could start calling before you have had time to digest the news and develop a thoughtful response. 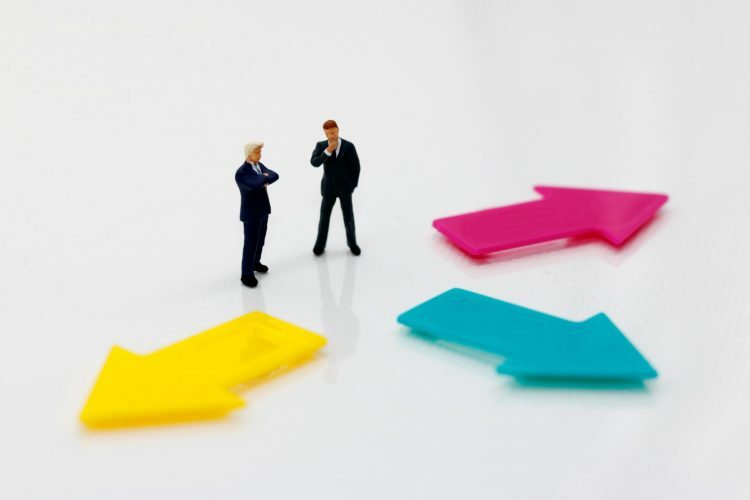 Although no two situations will ever be identical, having a basic response roadmap for the firm to follow is crucial to ensuring that the transition is handled professionally with a minimal amount of upheaval.